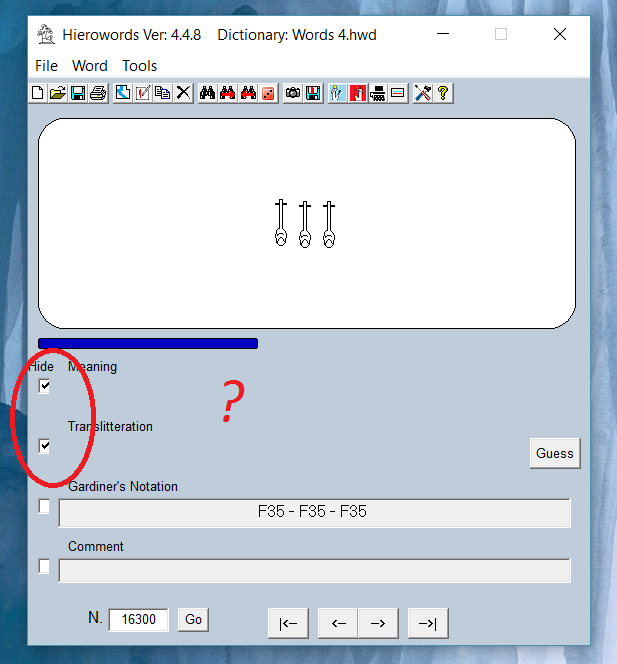 Use Hierowords to insert your own definitions or download dictionaries created by other users and have thousands (more than 40,000 at the last count) of definitions at your disposal. 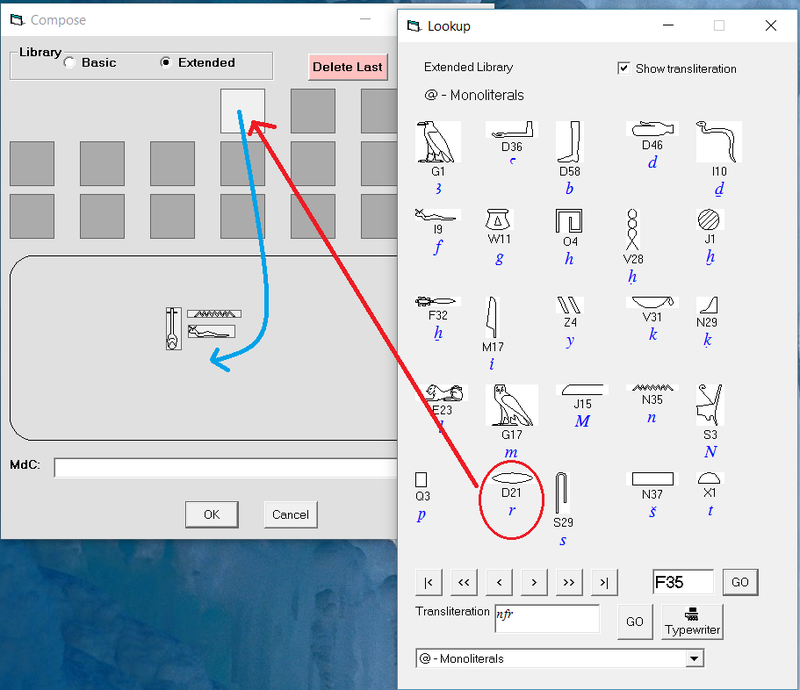 Search by hieroglyphic word, definition or transliteration. Search complete words, partial words or partial sentences. ​Fine tune our search with wildcards. You can now export your words as pictures, to then import them in our favorite graphic program. Print your own dictionary, after sorting it whichever way you like and put it in our backpack! 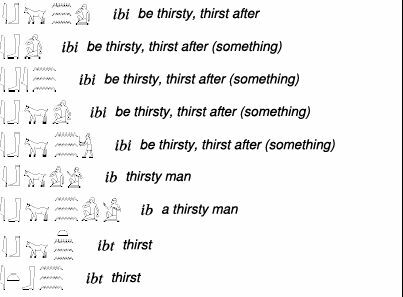 Print it in the Egyptian English direction or in the opposite direction! Partial Integration with other Programs. 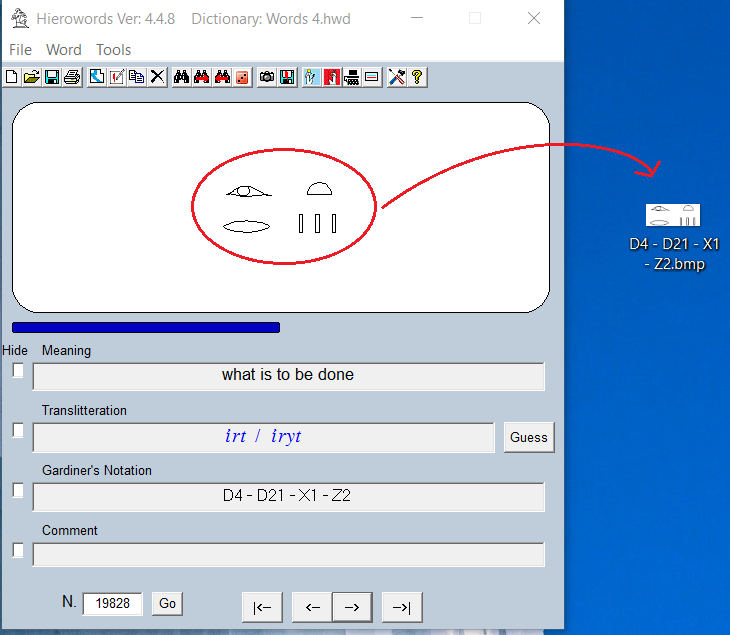 Easily export your words and definitions to programs like JSesh, Anki, Open Office Write etc.